The business that began behind the closed doors of a rented flat on Stanley Street in Central has over the past seven decades blossomed into one of Hong Kong's leading business conglomerates. The then H.G Kailey & Co embarked on its trading enterprise in 1931, principally in the importation of overseas quality hair products and cosmetics which would years later become a huge success story of this last century. Armed with a flair for business, Kailey founder Seaward Woo ensured his was not just an ordinary trading enterprise. As the trend for permed hair became increasingly fashionable in the 1930, Woo revolutionized the industry by introducing the early wave machine to Hong Kong and forged a partnership with American hair products manufacturer Helene Curtis. Kailey enjoyed immense success from the machine's importation and eventually gained sole distributive rights for all Helene Curtis equipment and products. Striving on the spirit of entrepreneurship, the critical moment came in the 1940 when Kailey took hair equipment one step further, making available the importation of machineless pads impregnated with curling chemicals, which meant that people no longer had to sit in hair salons for hours on end. Post World War II ignited a booming consumer market in Hong Kong, and Kailey took the opportunity to expand its importation product range from Helene Curtis Spray Net to Egg Shampoo and Suave Hairdressing for direct sales to consumers through retail channels. Kailey, by this time, had gained Helen Curtis' sole distributorship rights to the region, establishing branch offices in Malaysia and Singapore. and also investments in the property, real estate ownership and development sector. With the help of Woo's son, Sir Po Shing Woo, who joined the business in 1961, Kailey began to further diversify its operations. In 1972, it changed its name to Kailey Enterprises Limited, later forming the Kailey Group, comprising of Kailey Enterprises Ltd; also listed on the Hong Kong Stock Exchange in the same year were Keyble Co, Ltd, Kailey Associates, Kailey Curtis (pte) Ltd, Singapore, and Kailey Senduruan Bhd, Malaysia. Kailey Group's subsidiaries were responsible for property and real estate, investments, supplying plastic, hardware and distributing hair fashion products and equipment respectively. 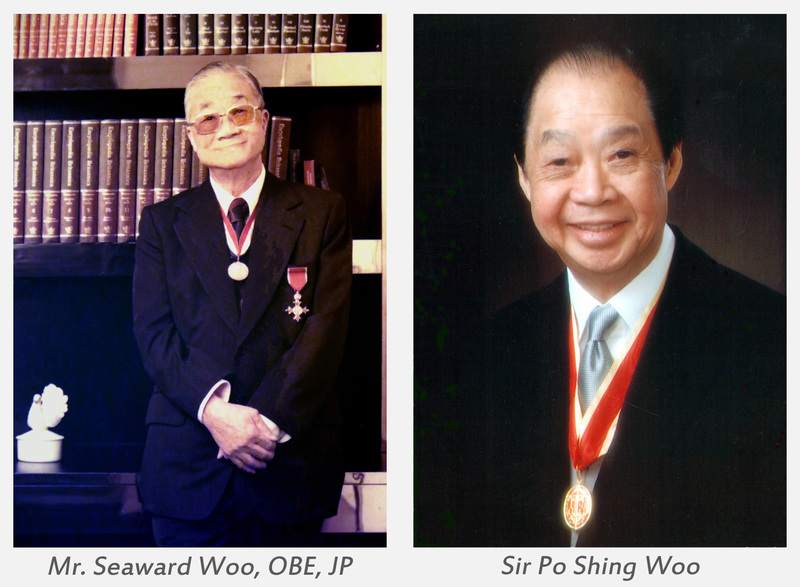 Born in 1929, Sir Woo Po Shing has largely been responsible for spearheading the Kailey Group. Married in 1956 to Helen Fong Shuet Fun (Lady Helen Woo), they have four sons and a daughter. An education at Hong Kong’s La Salle College and King’s College, University of London in which he obtained an LLB, stood Woo in good stead to establish his own law firm Woo & Kwan in 1963, later known as Woo Kwan Lee & Lo. A successful entrepreneur, Woo has played an active role in many private and public organizations, promoting the arts, advancing the good of the community, and pioneering many social causes. Such activities include the Hong Kong tuberculosis Chest and Heart Disease Association, the Woo Po Shing Gallery of Chinese Bronze Shanghai Museum, Woo Po Shing Overseas Summer School Travelling scholarships and the Po Shing Woo's charitable fund, to name but a few. Leveraging on its business expertise and industry knowledge, the Kailey Group continued to strive ahead in the 80s, maturing with a vigorous Asian economic climate and setting a tough benchmark for many of its competitors. After the Group's privatization in 1990, Kailey has increasingly taken advantage of the growing business opportunities in the PRC. Its many China businesses include property development projects in Guangzhou, Qingdao and Shanghai, involving hotels, offices, service and residential apartments for commercial, retail, cultural and recreational use. Today, Kailey operations comprises of businesses in almost every commercial sector and has proved to be one of Hong Kong most successful family enterprises. Through generation to generation, Kailey has gone from strength to strength. Today, the Group is run by P.S Woo's son, Nelson, Jackson and Dawson. As it enters into a new millennium, the pair are determined Kailey will remain one of Hong Kong's premier business bastions. With a strong foothold in its accomplished past, the Group will forge ahead. Sustaining its premier position and ever vigilant of new opportunities, Kailey will soar to great heights of success.